Hot off the press! . . . We have just released this striking range of special age birthday cards. Bright and colourful photography paired with bold, striking typography, these cards range from ages 40-90 and are available in our Classic 5x7 size range. 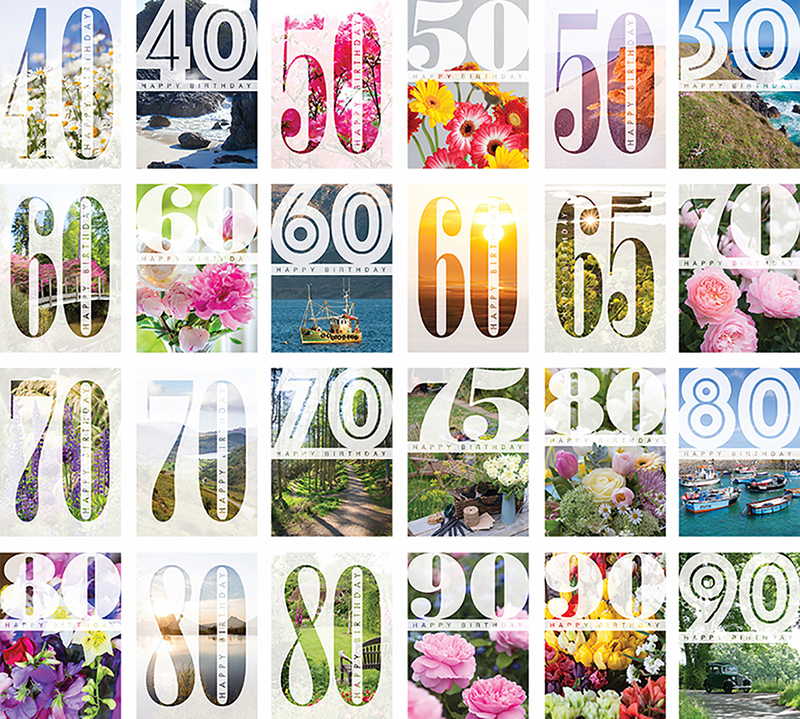 To see the rest of our aged birthday cards please visit our Online Trade Catalogue. Or return to the Our Cards menu.